"Presque ne compte pas." Almost doesn't count. For Ulster, the summit of their desire is within reach. Just 160 minutes of football to define a European campaign as being one summoning hope but once more ending in despair, or else one where they can finally vault towards the pinnacle of overweening ambition. And for Rory Best, who knows, perhaps the last opportunity in a white jersey to achieve the type of success that has over-flowed for him in the international sphere; no other Irish captain this century has been so starved of glory in club colours. And so, when he meets up with this Irish colleagues at the end of this month to prepare for the most momentous year for the international side, he wants to depart with the warm glow of home fires still burning for his Ulster squad. "When you look into the sort of near future", maintains Best, ahead of today's Belfast clash with Racing 92 and the concluding pool game with Leicester next week, "we have a great opportunity with two big European games that we feel we can win and put ourselves in a great position. "It would be fantastic to come back after the Six Nations and have that quarter-final. 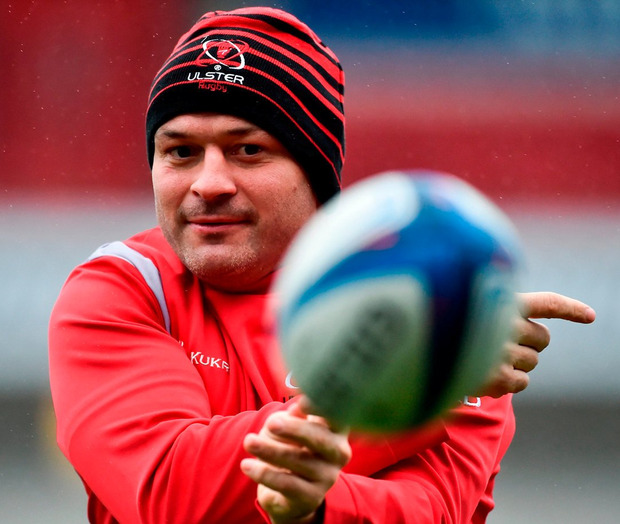 You know the last few years Munster and Leinster have had that and we have not." He sees them kicking on for home; but first this fortnight they must ensure they don't get bunched in on the rail as they prepare for the final few furlongs. "The Six Nations is enormous but after that you kind of feel... I suppose more so from the PRO14 we have a fixture list at a time when there are a lot of winnable games in it. "We are sitting fifth (in Conference B) now but on Saturday morning we were sitting second. We are only two points off second. "If we get five strong performances we can come back from the Six Nations and potentially have a European quarter-final, and also potentially be sitting in that second spot with a home quarter-final, in the league. "But if we look forward to that and just rely on that to be the case then we are going to be coming in after the Six Nations again with no quarter final, knowing that we have to scramble just to make Europe next season like we did last year. "So we have to make sure we put ourselves in good positions, but you have to go out and take it. "We have an opportunity now in seven games between now and March 20 to really take that and grab it." It would help if Ulster's task was akin to stealing candy from a toddler; instead, in the guise of Racing 92, last year's finalists, it it is more like trying to pilfer the Ulster Bank HQ. Fuelled by the disappointment of last year's final defeat to Leinster, when they arguably came closer than any other team in Europe to negotiating a route to victory against the irrepressible double winners, Simon Zebo's men mean business this season. They have an all-court game which they demonstrated in their spanking Paris La Defense Arena when dismissing Ulster in the reverse fixture. Despite kicking from hand more often than any other side, Racing have made the most metres per game and averaged the most clean breaks. Not only was their obvious off-loading, running threat so evident in the 44-12 Paris win, but they were also able to engineer significant disruption of Ulster's set-piece. Ulster need everyone to contribute; Jacob Stockdale's returning menace is a boost but locals will hope exciting youngster Robert Baloucoune can step up to the plate. It is 20 years since the Ulster heroes of '99. The locals are looking for new ones. Such a tall task.